Abamath is a Twin Cities organization that strives to make engineering accessible and approachable to youth of all ages, genders and backgrounds. They currently offer a variety of robotics and coding classes for elementary school kids that take on the format of week-long summer programs. This summer, Abamath is expanding its offerings to include a new day-long Code Challenge that will occur on August 18th, 2018. This expansion is tailored towards kids who want to have fun learning code while competing individually in a non-aggressive manner. This event gives Abamath a unique opportunity to expand its visibility and reach. I worked on a team with three other designers to create a design strategy for Abamath in order to help them drive registrations for Code Challenge, spread awareness of the organization and its course offerings, and ultimately engage more youth in engineering activities. The project was completed over a single week. Guided by Abamath's business goals, we choose to foremost strengthen Abamath's brand identity and visibility through rebranding, a website redesign, and an increased web presence. We choose to rebrand Abamath to better reflect the organization's mission and objectives and gain trust in potential customers. Abamath as a name no longer represents the mission of the organization. Our team brainstormed new names that represent the mission of the company to engage youth in technology and foster the next generation of problem solvers. We came up with a list of potential names, and through a voting process decided upon Code Squad. The winning Code Squad Logo designed by Harrison. CodEd, another proposed name for the organization. 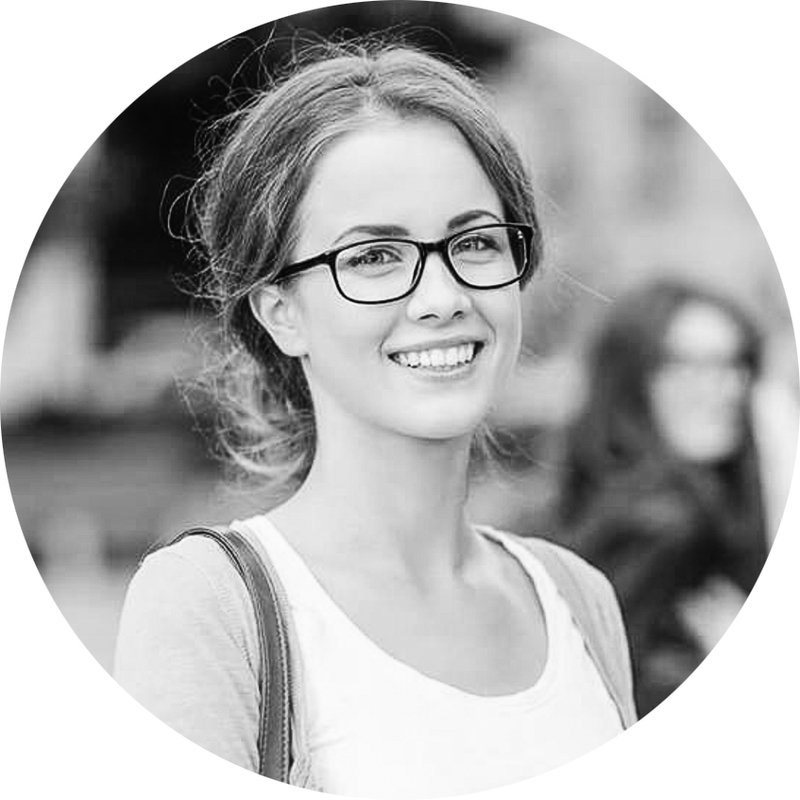 Additionally, using high quality, clear images that highlight diversity and engagement is key to communicating the Code Squad brand and gaining credibility among stakeholders. Hiring a photographer to build up an image bank of key interactions is highly suggested (look to Increased Social Media Presence). A high quality sample image exemplifying engaged youth from diverse backgrounds interacting and having fun. This image posted by First LEGGO League is another example of a high quality image capturing diversity and engagement. We designed a simple website with navigation at the top showing information about the organization, how to contact them, and job opportunities. A banner underneath navigation highlights important information about Code Squad, and as one continues to scroll down it includes course descriptions with external links to community ed websites where they can sign up, and testimonials from past parents and participants. Sketched prototype of new site homepage. Digitized prototype of new Code Squad homepage. Capture and share shots of engaged youth illustrates the excitement generated in the program and attracts both parents and children. Highlighting successful role models in STEM careers gives youth an adult figure to aspire to in the future and motivate their current engineering efforts. Quotes that instill a sense of possibility and empowerment in parents and kids will help them feel more emotionally connected to the program. Focusing on the relationship between youth and their instructors. Parents are concerned about who their kids will be around and having trustworthy staff is a necessity. Imagery that portrays this relationship is key in gaining trust in parents. An example from First LEGGO League of highlighting role models in STEM careers from diverse backgrounds. 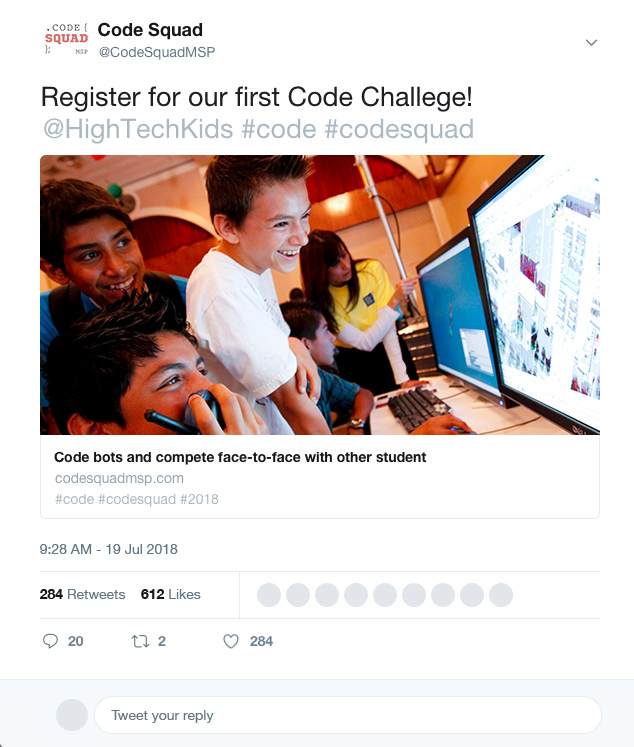 An example of a Twitter post leading up to the Code Challenge event. Overall, strong and engaging and social media content increases the likelihood of current and potential customers registering for classes and events in the future. We then created a timeline/implementation plan that depicts the roll-out of the social media calendar as well as other proposed changes. Moving forward, I would create a stronger diversity and inclusion initiative in which Abamath directly engages with communities underrepresented in technology (i.e girls and people of color), including youth, parents, instructors, and volunteers. This would include strategic partnerships with organizations that can provide financial assistance to lower-income families for both Code Challenge and Abamath classes in order to lower barriers for participation.